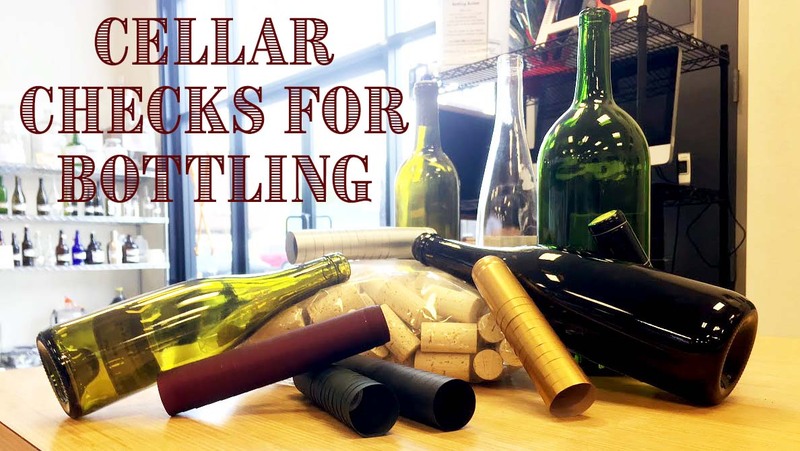 April showers – bring bottles, corks, and sleeves! Yes indeed the time has arrived for your more delicate wines to be tasted, tested, racked, and maybe fined and/or filtered. Bottling season is upon us. How do you decide that your wine is ready to bottle? Begin with how the wine looks. Clarity shows us that the wine has been racked and settled properly, which means there are low levels of Carbon dioxide (CO2). That’s important so the wine isn’t fizzy in the bottle. You can check this further by using a lees stirrer or spoon and spinning the wine in the jugs to see if gas is released. If there is more than a very light bubbling that ceases quickly - within 20-30 seconds – there is too much gas for bottling. So more rackings, or transfers are needed along with additional settling time to achieve low CO2 presence. For a detailed discussion of how much CO2 is too much, see the newest issue of Winemaker Magazine (April/May 2017) where Bob Peak discusses: “Degassing (Why, How, When) in his Techniques column on pgs. 50-52. What does the wine smell like? If there’s any off aroma, immediately give it the “copper” checkup. Do this by adding a few milliliters (mL) of 1% Copper Sulfate to a 100 mL sample of the wine in question. If the control sample and the treated sample are different – and the treated sample smells better – then you need to treat the wine before bottling. 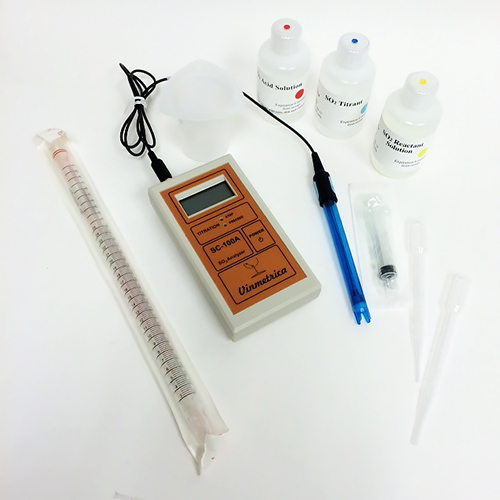 This quick check can be run with our TE24 1% Copper Sulfate. Allow one week to settle, then rack and sulfite with your normal addition of SO2. You can test the wine for Free SO2 and bottle by the second week. Speaking of testing, Free SO2 is a very important test to run prior to bottling for long-term storage stability. Drop off a sample for our lab to test, or pick up your own Vinmetrica SC100 or SC300 and test your wines at home whenever you wish. Wine fermentation is considered dry at 0.04% sugar. Now’s the time to fine tune that overly crisp and slightly tart Sauvignon Blanc with the addition of a 1/2 to 1% or more sugar. Often just a bit of sugar can realign the wine to your expectations. Trial this first! For a 5 gallon batch, a 1% addition of corn sugar is 160 grams. You can halve or double this as suits your palate. 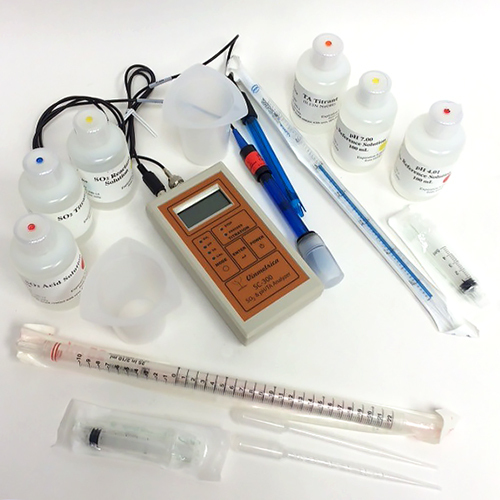 See our Kitchen Table Trials to accurately test your wine with several levels of additional sugar before you treat the entire batch and bottle. Sweetening your wine will necessitate the addition of Potassium Sorbate, a yeast inhibitor, to prevent bottle fermentation. Use it at the rate of 7 grams per 5 gallons. Stir into the wine with the sugar and bottle. The opposite flavor issue, the wine is too sweet is a bit harder to tackle in a hurry. Re-fermenting takes time and isn’t always successful when the wine is settled out and aging. Another approach to achieve a more balanced wine would be to blend it with a dry wine.